Fiddleback Forge Special! Buy any 2 custom Fiddlebacks and get a free Machete! Fiddleback Forge is throwing down one heck of a special! 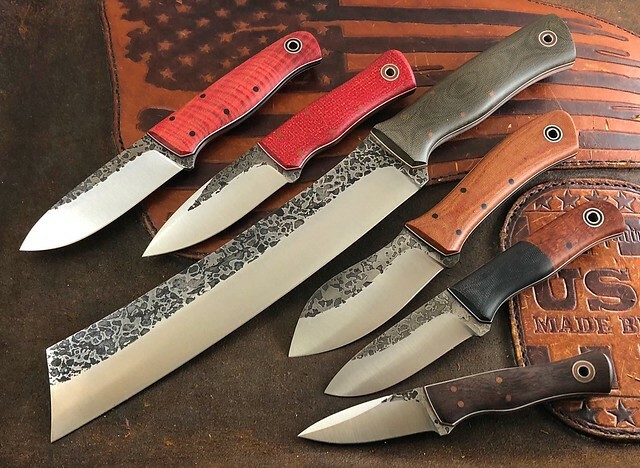 From now until Christmas, if you buy any 2 custom Fiddleback Forge Custom Knives from any of their dealers, they will send you a free 12" Machete! To claim your machete you just have to email phillip@fiddlebackforge.com with proof of purchase. They will then mail you a Machete for free! That is a heck of a deal boys and girls. We certainly hope you will jump at this offer and check out all the Fiddlebacks we have in stock at USA Made Blade. If you have any further questions about this offer please feel free to email scott@usamadeblade.com or call the shop at 704 798-6478 anytime. geologist2, mjh and Sabb0007 like this.